Learn about the principles of pharmacy practice and common disorders of the human body. 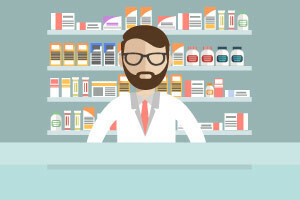 • Explain the role of the pharmacy technician as a member of the customer care team in a pharmacy. • Describe four systems of measurement commonly used in pharmacy and convert units from one system to another. • Distinguish among bacteria, viruses, fungi, and protozoa. • Identify the role of the Infection Control Committee within a hospital. • List some conditions and disorders of the male reproductive system. • Identify different forms of contraceptive products and the side effects of using each contraceptive. • Discuss the most effective ways of quitting smoking. • Define the difference between hypothyroidism and hyperthyroidism.